RJ Parker Publishing BLOG: Enter to WIN $100 Bookstore Gift Card - twice!! Enter to WIN $100 Bookstore Gift Card - twice!! Drawing on May 1 and June 1 2014. How to enter: Simply pre-order Parents Who Killed Their Children and/or Serial Killers Abridged in eBook or Paperback editions. Parents Who Killed Their Children is available now for pre-ordering at the following locations. It is released on April 30. Pre-order now and you don't pay until April 30 and automatically enters to win $100 Amazon, Barnes and Noble or Kobo Gift Card, the choice is yours. 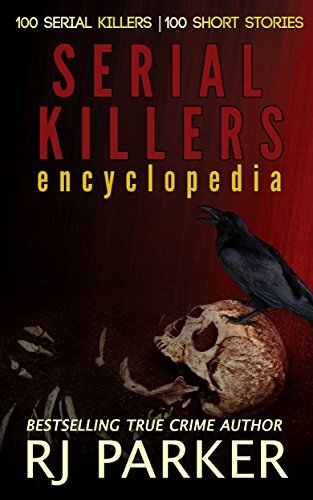 Serial Killers Abridged is available now for pre-ordering on at Amazon at the moment. It is released on May 31. Pre-order now and you don't pay until May 31 and automatically enters to win $100 Amazon Gift Card.